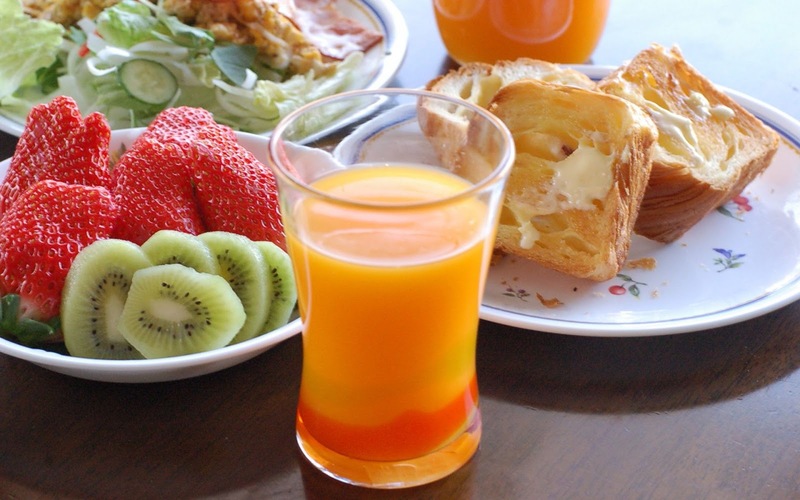 Fruit juices, coffee, milk and tea were always considered an essential part of our breakfast. The least harmful options for many are milk and fruit juices as they provide vitamins, calcium and energy while the rest could have a harmful effect if taken in the morning. Speaking about thick fruit juices "that are made without adding water", they are not as healthy as we think! They actually have unnoticeable, bad effect on the human body, which may appear instantly or on the long run. There are two types of fruit juices, the packaged fruit juices and the natural, homemade juices. Both have different composition and disadvantages. Most packaged fruit juices are not natural or pure. The bigger part is water and sugar, and the other is fruit nectar or extract, colors and fruit aroma. Add to all that the preserving compounds which most companies include for a long lasting product. You may read on the bottle that you are buying a natural product with no preservatives, but it is mostly a lie. The above mixture of compounds, sugar and colors makes it difficult for the kidneys to get rid of toxins and harmful compounds. The excessive sugar harms the pancreas as well. The homemade fruit juice is more acceptable and safe, compared to the above dangers, but a thick juice that is made without water has bad effects on your body. Take an example, orange, grapefruit, apple, berries, and mango juice…they are rich in vitamins and antioxidants, but can we imagine the effect on stomach and kidneys? Citrus fruits, in particular, have a harmful effect on the stomach, teeth and kidneys as they raise uric acid ratio in blood, erode the teeth and cause stomach ulcer. Other fruits can cause kidney stones due to a high intake of vitamins, besides providing an excessive amount of sugar. If you like to have fruit juice with breakfast, know that eating fresh fruits will provide you an appropriate amount of sugar, fiber and vitamins. So try to decrease the usual amount you consume gradually, or add some water to the juice. Thick fruit juices are not recommended for kids. Instead, get them used to fresh fruits better than juices.